Anyone taking a brisk drive through Saudi Arabia's King Abdullah Economic City would be easily misled. At the moment, it doesn't look like much of a city. There is a road network, a scattering of office and residential buildings, and a stunning coastline. Nevertheless, there is a state-of-the-art school, and a huge number of construction sites. Companies including Total, Danone and Pfizer have set up a presence there, but that's more or less it. However, all that is about to change. Muhammad Albakri, Chief Financial Officer and Chief Information Officer, Saudi Arabian Airlines, has a grand plan for KAEC, and the Kingdom of Saudi Arabia as a whole. Saudi Arabian Airlines (Saudia) has provisioned a $1 billion deal to implement KAEC's IT infrastructure, and Albakri is determined that the mega project will not only set a precedent for exemplary services and quality of life for the city's future residents, but will transform the economic prospects for Saudi Arabia's youth. Announced in 2005 by King Abdullah, KAEC is due for completion in 2029, and will cover 186 km², an area the size of Washington D.C. It is envisaged that the city--which is situated 100km north of Jeddah -- will play host to the world's top companies, and will be the biggest economic centre of western Saudi Arabia. Albakri is unflinchingly ambitious in delivering his vision for what the deal could bring to KAEC, and Saudi, "Right now there is a real need to invest in the youth of this country," he says. "We have several aims in this project: to create an elite technology development centre for Saudi graduates, to provide a first-rate quality of life for KAEC's residents through technology, and to drive economic development in the country through our cloud services." A quick glance at KAEC's location and assets suggests it has the potential to become a trading powerhouse in the Middle East. Located along the coast of the Red Sea, the site boasts a port which could hold up to 20,000,000 containers if running at full capacity, and the construction of train lines to Mecca, Medina and Jeddah are currently in progress. It is ideally situated as a bridge between the West and the East. KAEC will be self-regulating, following a similar economic model to Singapore, where it will be able to bypass the normal procedures of Saudi government agencies to do things such as issuing visas, and it is partly owned by Dubai-based property development firm Emaar. Saudia was privatised in 2000, and subsequently various non-core subsidiaries of the airline, including Catering, Ground Handling and Maintenance have been sold. Albakri believes that the company's evolving IT arm has only begun to gather pace "in the last four to five years" since it has procured more external contracts, such as KAEC. With 50 percent of Saudi Arabia's 27 million people under the age of 24, Saudia's Finance and IT Chief believes that an investment in the nation's budding talent is not only imperative, but long overdue. He is certain that a failure to capitalise on the opportunities that KAEC and new e-banking legislation presents will equal a missed opportunity to establish Saudi as an economic force. He is also mindful that the potential of the nation's young people is being damaged by the high cost of living standards and the inadequate training they are receiving before finding work. "IT and communications are central to supporting a knowledge-based economy which will drive Saudi's growth," he says. "At the moment there is serious wastage in this country. Instead of hiring skilled Saudis, companies are opting for foreign talent. On top of that there are millions of intelligent young Saudi women who have massive potential, and who deserve investment. This country is the energy capital of the world, and we should be in a stronger position than we are now." Following legislation introduced to the Kingdom in 2010, the Saudi Arabian Monetary Agency has prohibited Saudi-based financial and banking firms from outsourcing their cloud requirements to foreign providers. Once Saudia's cloud system is fully operational in 2015, Albakri is eager for the company to capitalise on the waterfall of firms that will be looking to move their cloud operations back to home soil. "We intend to target a range of organisations, including banks, schools, businesses and financial firms," he says. "But we won't exclude SMBs. By providing a scalable, OPEX model cloud system, we want to drive economic growth throughout the Kingdom." He sees cloud as a key driver of economic development, "Look at how cloud has improved the implementation of SAP HANA," he says. "Without cloud, this used to take months, if not years. Now it can be done in a month. That is a serious value-adding time-saver to any business. That is the kind of progress that we want to bring to the people of this country, and the near future presents huge potential for Saudia, and Saudi Arabia's people." Central to Albakri's philosophy of graduate education is Saudia's 'Sinnovate' programme. Saudia has enlisted engineering firm CH2MHill and Microsoft to build state-of-the-art technology facilities, and ensure first class, pertinent training within them. "We have agreed deals with some of the top vendors in the world; the likes of Cisco, SAP and HP have all agreed to provide training to Saudi graduates," Albakri says. "We are creating a synergy of world class vendors to inspire our data centre, and to educate our people." The Sinnovate centre features a 14,000 m² IT HQ at KAEC business park, and a Tier-3+ data centre which will occupy more than 42,000 m². As the heart of Saudia's 'Sinnovate Cloud', it will provide infrastructure-as-a-service, hosting with managed services and unified communications services amongst others. It will also have an 'Innovation Nucleus,' an R&D centre designed to educate Saudi graduates. Albakri feels that blooding candidates early on in their careers gives them a vital head start. Saudia recruits candidates between the ages of 21-23 who it feels are bright enough to act as forerunners in the next generation of technology development. "Companies often send their employees on four or five day courses for training in how to use new software or processes," he says. "In my opinion, the skills and knowledge the individual picks up in this period of time are not enough; for most people they dissipate quickly. By the same token, it may take three years to fully mould a university graduate into an organisation's culture after they have finished their education. With our Innovation Nucleus, we can realistically cut this to six months, and provide the exact training that a graduate needs to work in IT by teaching them the core skills of R&D from Cisco-certified engineers." Albakri says he drew inspiration from a series of leading vendors in designing plans for Saudia's data centre, the construction of which will begin in five months. Albakri says the facility will be scalable--and crucially--purpose-built for the region. "There is absolutely no point in building a data centre that is identical to one in the US or Europe," he says. "We face different challenges here, so we need to build data centres that can face them. That means taking into account our climate and power consumption; we have 12 hours of sunlight here each day for much of the year, so why waste millions of dollars cooling the centre when you can harness that power?" With this in mind, Albakri has commissioned the construction of a 'cocoon' exterior to the centre, which has movable metal panels, which could shield the building in the event of a sandstorm, and can insulate it in times of extreme heat. He is also keen to install large numbers of solar panels to underline the ethos of "Green IT" in the site, to reduce power costs and remain environmentally friendly. This policy of region-specific construction will also be consistent in housing developments throughout the city. 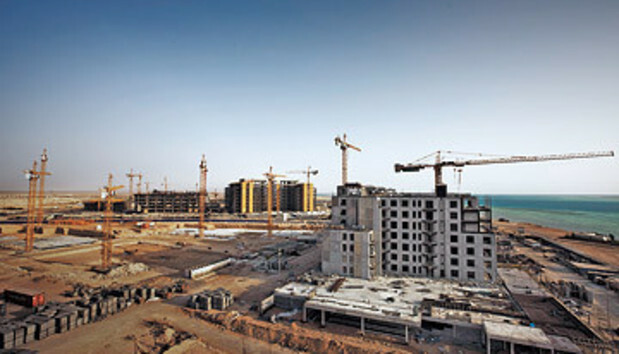 A key pillar of Albakri's vision for KAEC is turning it into a Smart City. He envisages emergency services, household appliances and a host other things being driven by smart technology. "Making KAEC a Smart City will vastly improve its residents' lives," he says. "IT is the central nervous system of KAEC's socio-economic development, and this will attract and retain the best and brightest that Saudi has to offer, and help them to achieve their dreams." For Albakri, this means that for the next generation of Saudi talent, best-of-breed technology is a pre-requisite for day-to-day quality of life, "For young people these days technology is part-and-parcel in anything they do that is information-driven," he says. "In my daughter's school they don't even use books anymore. In order to drive the growth that we need there has to be the best technology available for KAEC's citizens. Creating this Smart City will in turn drive huge demand for systems integrators and solutions providers, which in itself creates economic growth for the city." Although in a relatively early stage of development, KAEC presents an incredibly exciting prospect not just for the Middle Eastern IT scene, but for the entire economy and future development of Saudi Arabia. Albakri's tireless efforts to convince world-class vendors to participate in Sinnovate and in Saudia's data centre have convinced him that his work will pay off, "We have scoured the world to acquire the best possible partners to support us in this project," he says. "Some took more convincing than others, but when I said to them 'Why don't you have a presence in this part of the world? Don't you realise the potential that lies here?' A lot of them didn't have an answer."